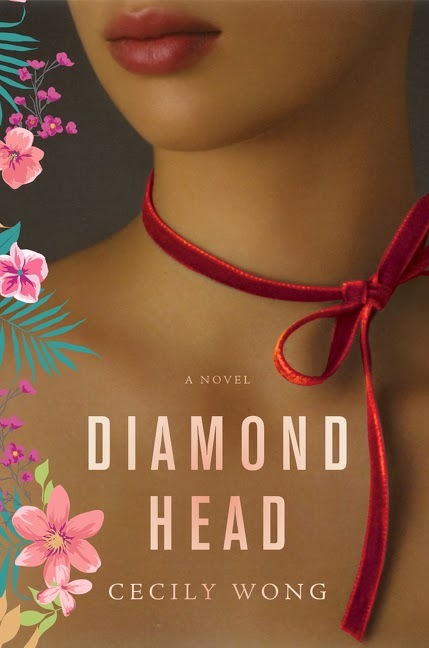 The Page 69 Test: "Diamond Head"
Cecily Wong’s work has appeared in the Wall Street Journal, Los Angeles Review of Books, Self magazine, Bustle, and elsewhere. She is a graduate of Barnard College, and lives and writes in New York. The year is 1914 and the Leongs are newly settled in Hawaii. Five year old Bohai, the only son to the illustrious shipping family, is under deep scrutiny. His mother, Lin, is determined to rid her son of his young introversion; as the heir to his father’s company and fortune, Bohai’s shy disposition is a growing disappointment. But what the reader doesn’t know yet is that Lin is channeling her own insecurities into her efforts. If Bohai doesn’t manage to please his father, Lin fears that the failure will be largely her own. I began to take Bohai to the beach every morning. I woke him early before school and dressed him as the sun rose. I coaxed him onto the sand, allowing him careful steps into the gentle waves, his tiny body silvery and frail. Within seconds, the water would knock Bohai from his feet. Get up, I would yell, so determined to right my son, you can do it; but even weeks into our exercise, my son could not find his balance. I held his hand, day after day, as he panicked in the water and fell to the sand, his difficult breath expanding beneath exposed ribs. As much as we practiced, he made no progress, but still I forced him. I didn’t know what else to do. Page 69 is riddled with a family’s disappointment and struggle with their legacy, which is a sentiment that pervades the entire novel. In Hawaii, Lin sees a second chance for her young family, guiding her son to an alternate future and hoping to find herself along the way. Balance is an important word on this page, and in the book: losing it, finding it, and learning how to sustain it. Mike Goldsmith's "Discord: The Story of Noise"
"Death Sits Down to Dinner"
"I Woke Up Dead at the Mall"
"I'll See You in Paris"